I plan to go again next weekend. Blackberries are my favorite berries, but I don’t have them that often because when you buy them at the store, they are usually sour. That’s because, like the tomato and the strawberry, blackberries are only good when they are so ripe they are about to fall off the vine. That doesn’t make them a great commercial crop, but it does make them the perfect food for foraging. 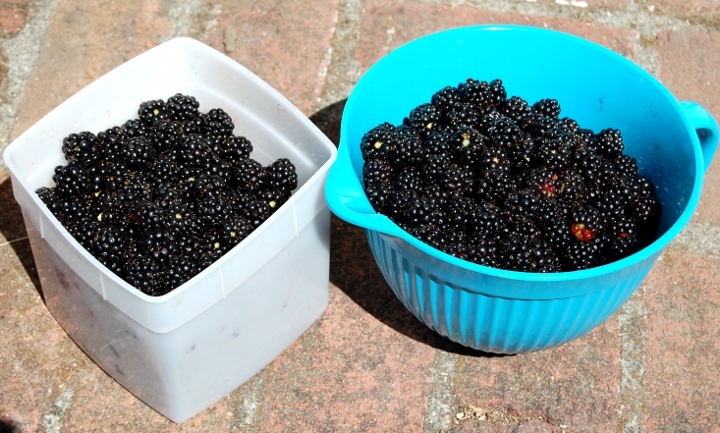 * Bring plenty of clean containers to hold the blackberries. * Wear gloves to protect against the stickers. * Wear long sleeves for the same reason. * Wear old clothes because the stickers will snag you. * Bring a pair of tree trimmers to clip long briars out of the way–very helpful. 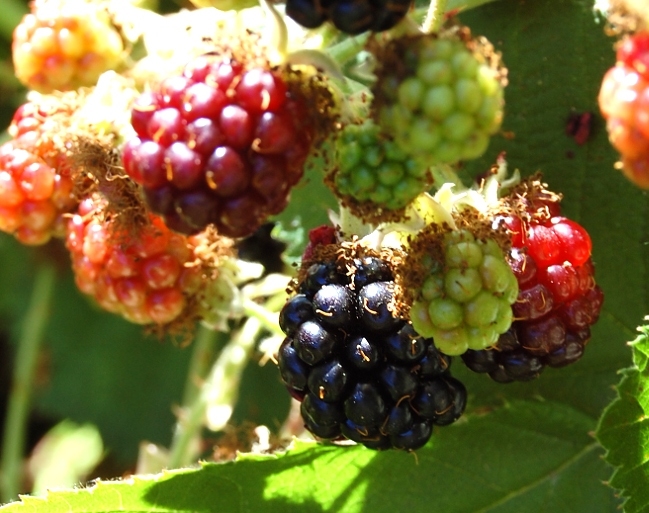 * Only pick the softest, sweetest berries (if in doubt, taste!). 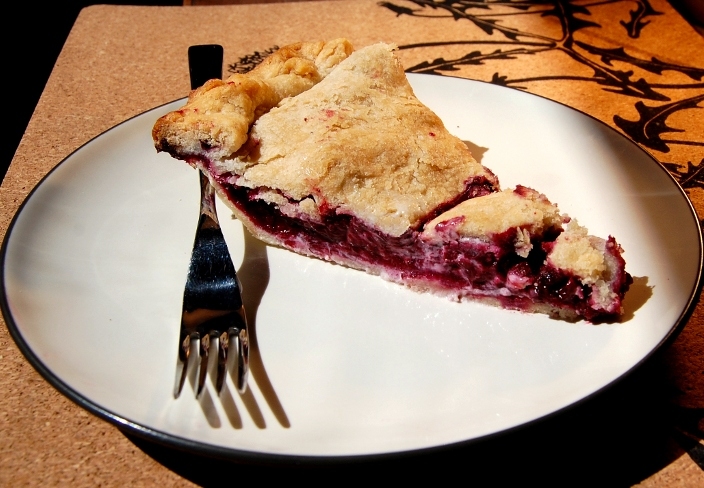 The best part of blackberry pie is that it is even better the next day. The juices soak into the crust and make everything gooey and delicious. It may just be my favorite pie. In a bowl, mix in blackberries, flour, cinnamon, and lemon juice. Add one cup of sugar and taste the berries. If they don’t taste sweet enough, add another 1/2 cup and taste again. You want the filling to be sweet, but not too sweet. Set the filling aside. Roll out the pie dough and form in a pie pan. Pour the blackberry mixture into the crust. Roll out the top crust and place on top of the pie. Pinch the edges together and cut a vent in the top to let out the steam. Put the pie in the hot oven. It’s smart to put a cookie sheet under the pie to catch the juices when they leak out. Cook for 15 minutes on 400 degrees, then lower the temperature to 375 degrees. Cook for another 15 minutes, then lower the temperature to 350 degrees. Cook for 30 more minutes until the crust is golden and the filling is bubbling. Remove pie from the oven and cool before serving. Wow you scored a lot of berries! Looks delicious! !